With over 20 years behind us, we at A Great Choice Lawn Care & Landscaping are more than just a little familiar with the needs of our Vestal, NY customers. We know that you need the best of the best when it comes to lawn care and maintenance, and we know how to provide that to you with ease. Our professionalism, our eagerness to please our customers and our vast knowledge of the Vestal, NY area allow us to cater to your every need and meet your every requirement before you even know to ask for it. Our professionals have been in the business for two decades, and they are the most knowledgeable and easy to work with professionals in the industry, and they know everything there is to know about keeping your home or business looking good every season. Our desire to constantly amaze our clients is what makes us the go-to lawn care company in all of Vestal, NY. Your landscaping needs should always be met. It is our professional opinion that there is never a time in which you should feel that your lawn at home or at work should look anything less than the best, no matter the time of the year. Our professional team is looking forward to meeting your landscaping needs, whether it is taming an overgrown yard or adding to a lawn that needs something a little more exciting to spruce it up. We have a vast knowledge on all things related to landscaping, which is why we are the best in Vestal, NY when it comes to year-round landscaping services. From keeping your lawn lush in the summer to maintained in the winter, there isn’t anything that we are not good at doing. 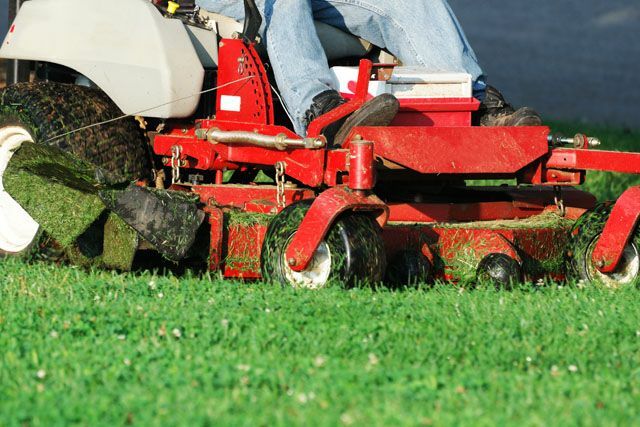 Lawn fertilization is not something too many homeowners do on their own. It doesn’t always seem necessary to homeowners who can see that their lawn looks good across the board, but we understand that maintenance is key and that fertilizing your lawn is what keeps it looking good all year. What looks good this year might not look so good next year without the proper fertilization, which is why we work hard so you don’t have to. Trust our professionals to ensure your lawn looks good all the time with some of the best lawn fertilization tips and tricks you might not even be aware of just yet. We can keep your lawn looking good all year so that you never have to worry about your home or business when the seasons change. Summer is all about spending time outdoors, but no one wants to spend time outside when the lawn is overgrown. The problem for our Vestal, NY customers is that after work, the kids, the extracurricular activities and all the fun that summer brings with it along with gorgeous weather, it’s not always possible to find the time to mow the lawn. We make it our job to promise you the knowledge of short, maintained grass all summer long so that you don’t have to cancel plans or stress about finding time to get the lawn mowed so that the kids can play outside at the next barbeque. We want you to sit back, relax and never see your lawn look anything but well-maintained throughout the year. Let us do this for you so that you can look back on your summers in Vestal, NY and remember them with happiness rather than with bitterness that you spent so much of the season outside mowing the lawn. Retaining wall construction is used for many reasons in Vestal, NY, and it doesn’t matter which reason you have. Some add their retaining walls because they want to have a more in-depth and exciting look to the yard. Others add retaining walls because they offer so many practical purposes. The main reason, however, to consider one of these is to give yourself more room to plant, garden and landscape, and to set your house apart from everyone else in the street. When adding retaining walls, you can add so much more depth to your yard. With different levels and different features, your basic landscape gets the kind of wow factor that it needs to really stand out. It’s not something that might really raise the value of your home should you choose to sell at some point, but in Vestal, NY, it is something that will cause potential buyers to look twice at your home because it’s more impressive than comparable homes. Basic walkways and patios are fine but when it comes to outdoor living and enjoyment, it’s is custom patio and walkway that will really make your house seem special. Our patio & walkway installation professionals understand that sometimes the best way to make a beautiful house an impressively beautiful house is through the addition of a custom walkway, driveway or patio. From pavers to paint to everything in between, we can customize your hard surfaces outdoors to look like something remarkable instead of something nice. Outdoor living is a must much of the year in Vestal, NY, which is why we want to ensure that your home is everything that you want it to be. Let us send our professionals over to take a look at your walkways and patios so we can upgrade them to something more elaborate. It might be the simplest and most low-key change to any yard, but it’s also one that has a serious benefit for many of the homeowners in Vestal, NY. Our landscape professionals know that sometimes the one final touch that any home needs to make it look grand is a simple water feature. Our water feature construction encompasses everything from the basics to the most elaborate types of construction, which is what makes our work stand out. From inviting birds to your yard for a drink to ensure that you have green landscaping and the sound of water flowing softly while you’re outdoors, we can take your lawn from drab to fab in no time at all thanks to our two decades of experience and our professional service personnel. At A Great Choice Lawn Care & Landscaping, we work hard to ensure that you are happy with your lawn when we finish adding our own personal touch. We like to know that our customers are satisfied with all that we have added, and we like to be there from the start of any project to the finish, and even beyond. We’re happy not only to provide you home with beautiful landscaping, but also to ensure that you have the kind of maintenance and care available to keep it looking good for the foreseeable future. Our company has a host of dedicated, professional and talented landscapers at our disposal, and that means our Vestal, NY clients win every time. 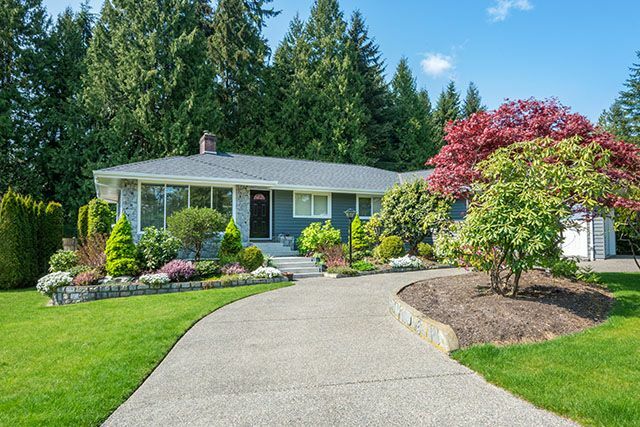 Our familiarity with the area allows us know what works best, what doesn’t work so well and what clients want most when they are here looking for someone to handle their lawn care needs. Call our offices today for an estimate, to schedule a meeting or to discuss what you’d like to see happen with your lawn at your home or business. We are always happy to help.